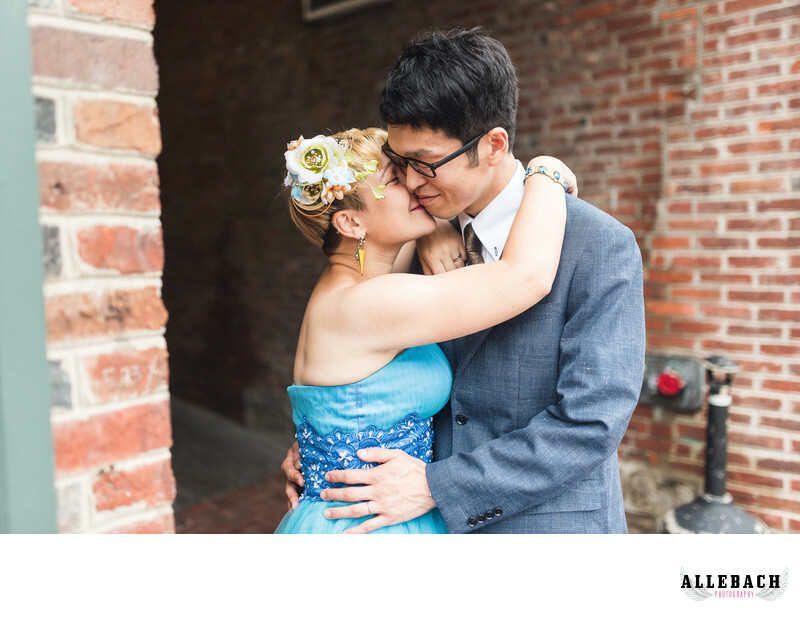 This couple traveled all the way from Japan to get married at Headhouse Square on 2nd street in Philadelphia. This location was a beautiful backdrop for their creative wedding. If you are looking for the best wedding photographer for your Philly wedding look no further than allebach photography. Head House Square, or Headhouse Square, is a historic district in the Society Hill neighborhood of Philadelphia, Pennsylvania. It was founded in the 1700s and used for farm and trade.